I knew when I looked at my schedule for the evening, that this would be my picture of the day. 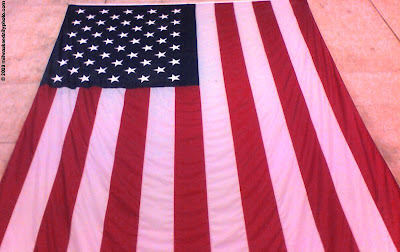 This large American flag hangs in the ice rink at the Kern Center, home to the Milwaukee School of Engineering's hockey team. The Raiders defended their home ice successfully, although the crowd was not very large. Best of luck to our new President! A very big day indeed!